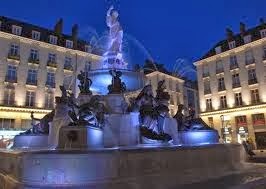 Nantes is considered as the liveliest city in Europe. Located on the banks of River Loire, this city occupies a wide area of the western France. 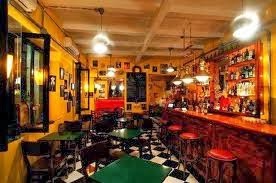 Nantes is full of lovely pleasures and delights that result this place in a perfect destination for honeymoon. The rich cultural history and the vibrant lifestyle offer loads of fun to the couples. There are several museums which can be explored by the newlyweds including the botanical gardens and parks which provide a fine place to experience some natural treasures. Apart from the major historical and cultural attractions, other things that attract visitors towards it are the fine wine produced in this region and the best seafood offered by several restaurants. There are numerous ways through which tourists from all over the world can reach this place. Nantes has a huge rail system including TVG line that offers regular trains from several destinations. If we talk about airways, the main airport located in the city is the Nantes Atlantique Airport offering scheduled services to and from all the major locations. The airport is connected by city center by a shuttle which provides all sorts of comforts to the visitors reaching this place. The best time to visit this place is during the month of June and September. These months are less crowded with warm weather, long hours of daylight and cheaper prices. The couples can also avail the discounts and can relax in the stunning gardens of this place. As the name suggest, this is not a mammal of the circus. It is the world’s greatest, loudest, proudest and public friendly surprise. 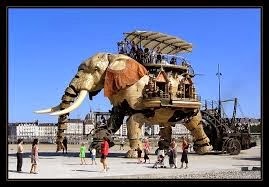 This huge mechanical elephant is 40ft high and 24ft wide offering rides to the visitors. The experience of this ride is awesome with the showers of water from the trunk of the elephant. This botanical garden is located in Boulevard Stalingrad. The garden comprises of a huge collection of some rare and exotic species of plants spread in about 18 acres of land. You can spot some amazing cactus varieties and medicinal herbs in this garden. Nantes is an excellent place for tasting some regional wine and delicious seafood. The wine produced in this region is Gros Plant and Muscadet. The couples can enjoy the best cuisine at Brasserie La Cigale restaurant which is highly recommended by the visitors. So, this was all about the major attractions of Nantes which makes this place a fine location for the honeymooning couples. You can also plan your honeymoon to this place and have outstanding experiences.